The reading rooms at the Wellcome Library in Euston Road are airier and cooler (in all senses of the word) alternatives to the sometimes oppressive gloom and shuffling-noises of Rare Books and Music at the British Library. The only problem is that there are so many enticing titles staring at me from the shelves that distraction is a constant problem. Today my attention was seized by The Care of Tuberculosis in the Home by James Maxwell, M.D. (London) F.R.C.P (London), Assistant Physician and Demonstrator of Practical Demonstration, St Bartholomew’s Hospital; Physician, Royal Chest Hospital; Consulting Physician, Royal National Sanatorium, Bournemouth. The book was published by Hodder and Stoughton in London in 1943. An initial flick through the pages showed that this was a book for a popular audience rather than for the medical profession, or perhaps more accurately, a literate and comfortably-off audience who could keep their TB-afflicted relation at home, in some comfort. Dr Maxwell dedicated his book to ‘those who have fought their battle and who, winning or losing, have kept their courage high’. Stirring stuff. People who are found to have early tuberculosis need have no such dread. and it is as well that this point should be cleared up as soon as possible after the diagnosis is made, for the influence of the mind upon the body is so tremendous that it has seriously to be reckoned with when when is assessing the probable results of treatment in the individual. The patient who accepts the news with equanimity is likely to do well. At the present time an obviously grave menace is the public air-raid shelter, and there can be no doubt that many patients have contracted the disease while endeavouring to guard themselves from more imminent danger from the air. In fact the disease may attack anyone and, what is more, the general appearance of the patient is no safe guide in assessing his [sic] powers of resistance. It often happens that a well-built, athletic individual proves to be less able to combat the disease than one who initially appears to be of much less vigorous constitution. 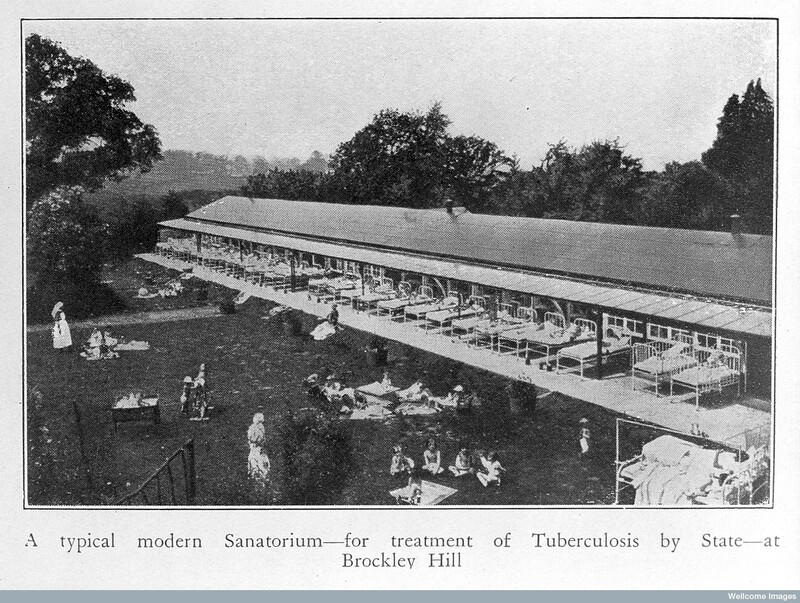 At various points, Dr Maxwell emphasises that having had tuberculosis need not preclude a person from living a normal life, working, marrying, or having children. Men may certainly marry and breed, so long as they do not need to work excessively hard in order to support the family – excess physical strain and mental stress are not conducive to good health and preventing their TB from reactivating itself. He does state that pregnancy is dangerous for a woman with active tuberculosis, but that although the ‘safest course is to advise that never afterwards, no matter how well she may appear to be, should the patient become pregnant’ this advice does not apply to every case. Therefore, it is a good rule of thumb to advise against (‘forbid’, even) pregnancy for a ‘minimum of three years after it is considered that the disease has become quiescent.’ The time of greatest danger is not during the pregnancy, but after it. It is also a wise precaution to warn the patient, both against his friends and a large proportion of Jeremiahs whom he will encounter in the sanatorium. These people, who would be better be employed otherwise, appear to take a great delight in looking on the gloomy side …. there is always a certain number who delight in adopting a fatalistic attitude and in recounting even more gruesome stories, the majority of them entirely fanciful. Amidst many instructions on maintaining hygiene during at-home care, daily routines, temperature charts, and nutrition, I found the descriptions of building and equipping a ‘home chalet’ particularly diverting. 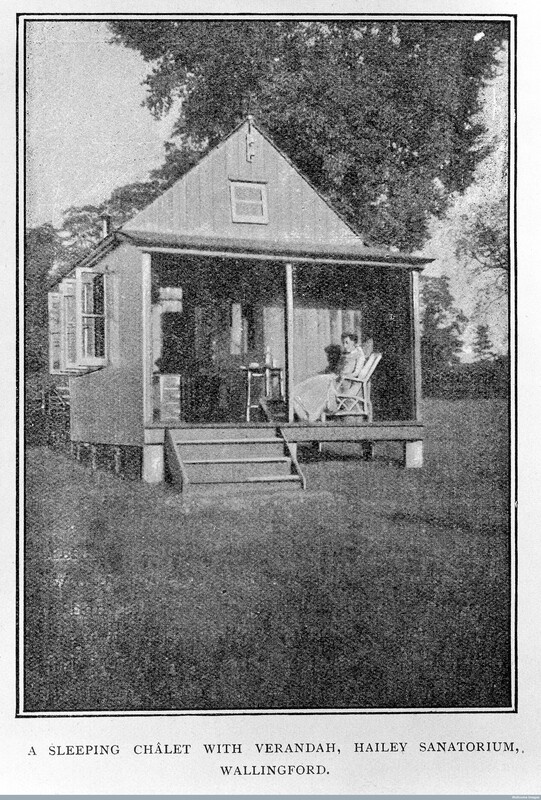 If a patient’s family has the space and resources to construct a summerhouse, the little hut, in the garden, it should ideally have French windows on one or two sides, to ensure a healthy flow of air, but the patient should not be exposed to direct sunlight. One chalet that the author discusses was built on a sort of turntable, so that it could rotate to catch the best breeze and light. The natural reaction on leaving the sanatorium is to celebrate the fact with indulgences which are likely to do harm, and this tendency is to be discouraged. The ignorant patient who has failed to learn his lesson is to be pitied, but he must be given his change; the patient who deliberately neglects to carry out rules which he knows perfectly well, and the purpose of which has been explained to him, is one on whom no sympathy need be wasted. I found fascinating the combination of personal responsibility and total, dedicated care as a means of overcoming disease, in the absence of viable drug treatments. Now, antibiotics are the main treatment for active and latent forms of tuberculosis, but lapses from compliance (i.e. not taking the full course of medication) mean that antibiotic-resistant forms of tuberculosis are becoming more common. Dr Maxwell’s plan of rest, hygiene, and diet sounds doctrinaire, but as a means of restoring the body to health, in combination with modern treatments, might it still have value? Exploring historical methods of dealing with disease is the aspect of the history of medicine that I find most interesting, demonstrating so many changing ideas about how doctors thought of ‘the patient.’ In Dr Maxwell’s case, the patient is not a passive victim of illness, nor yet a militant fighter against illness. Instead, the patient, with support and mental strength, helps to nurse him/herself through illness, with the goal of resuming a normal life.